Lone Leaf Gallery & Custom Framing - Award winners! 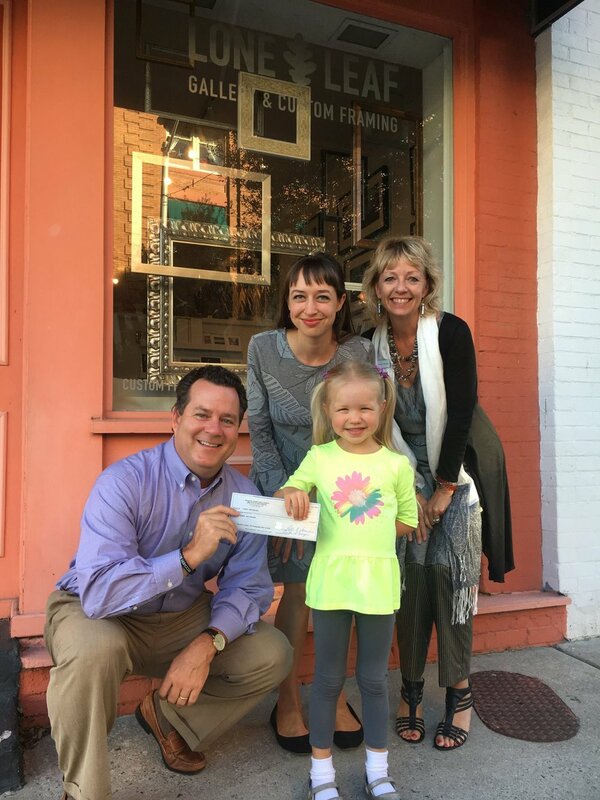 Lone Leaf Gallery co-owner, Meredith Loughlin, and future owner, Mira Loughlin are winners of several awards for the Arts of the Pamlico's river art exhibit sponsored by PotashCorp! The exhibit featured art made from recycled art materials. Presented by Ray McKeithan of PotashCorp who generously donated award money and Debra Torrence of Arts of the Pamlico.